I am currently in China launching the L’Huguenot wine brand with our partners in the Perfect Wines of South Africa joint venture. 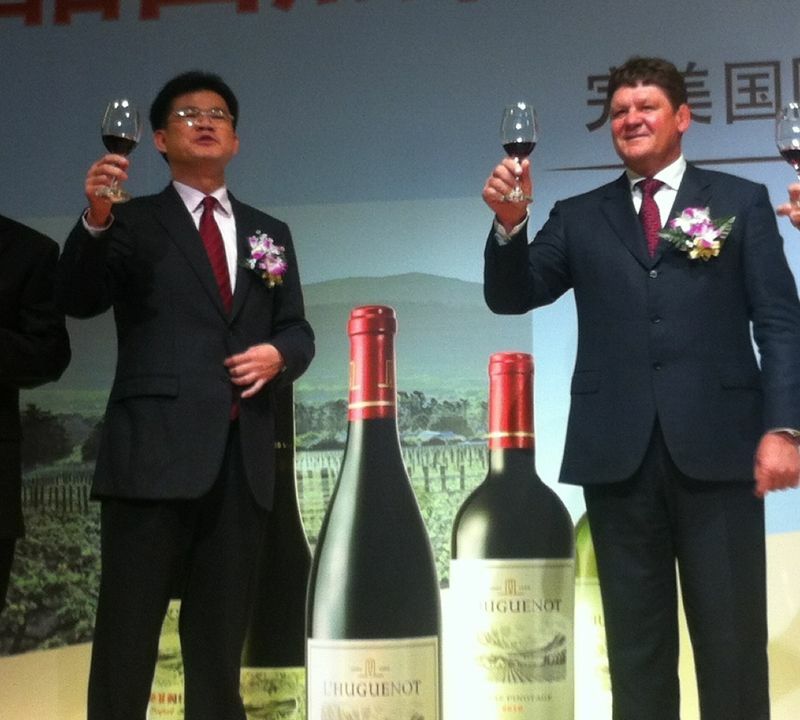 One of the first stops was in Zhongshan where we launched the wine to 300 top distributors. Their response to the wine was very positive and there is widespread agreement that L’Huguenot has the potential to become a major wine brand in China. In the photo above I toast the launch of L’Huguenot with our business partner, Mr Woo Swee Lian President of Perfect (China).